Carol Fulp said she plans to work as a consultant who helps executives with building diversity, and to do more public speaking around her book on the subject. Carol Fulp has dedicated the past seven years of her life to helping professionals of color in the Boston area advance their careers. Now, Fulp is making a career change of her own. 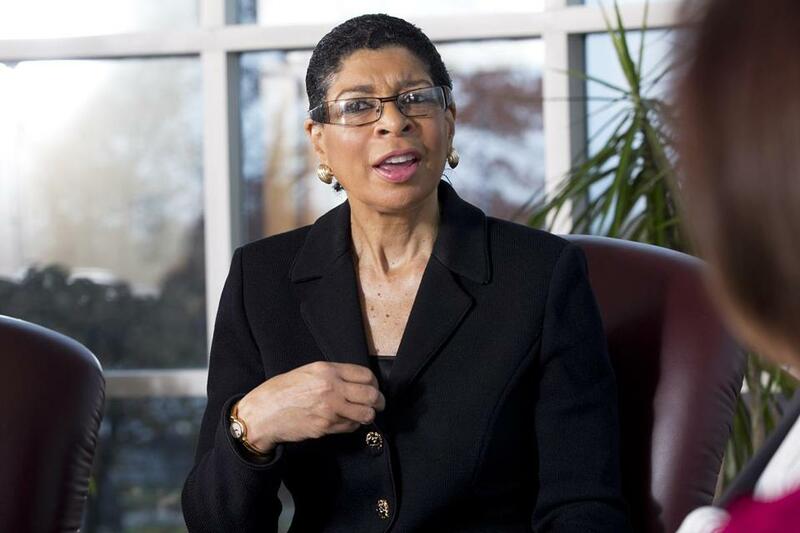 The chief executive of The Partnership Inc., a nonprofit that provides leadership development and networking opportunities for people of color, told the organization’s board Thursday that she plans to retire at the end of June. Fulp’s departure follows the publication last fall of her book, “Success Through Diversity: Why the Most Inclusive Companies Will Win.” Fulp said she plans to work as a consultant who helps CEOs and other executives with diversity efforts, and to do more public speaking around her book. Fulp, 67, is one of those ubiquitous figures in Boston’s business community, seemingly attending nearly every networking breakfast or fund-raising gala. Stepping down from the job at the Partnership, where she leads a seven-person staff, might allow her to slow the pace a bit. The group was born out of an effort in the 1980s to diversify Boston’s corporate ranks, with a particular focus on black professionals. It has since expanded its mission to help up-and-comers and seasoned executives from diverse backgrounds, in part by providing services and advice to employers as well as employees. About 300 people are participating in various Partnership programs this year, Fulp said. About 4,000 have done so since its inception. Before The Partnership, Fulp was a senior vice president at John Hancock, heading up the financial company’s philanthropic efforts. She took a three-month leave from Hancock in 2011 when President Barack Obama appointed her to represent the United States at the 65th Session of the United Nations’ General Assembly. Fulp left Hancock to be the Partnership CEO in 2012. Under her leadership, the annual budget has nearly tripled, to about $3 million. The organization significantly expanded its roster of “faculty members” and coaches over that time. The group has grown in part because of a shift in corporate leadership as more companies recognize the business advantages to having a diverse leadership. “It has moved from a ‘nice to have’ to a business imperative,” Fulp said.